Maintenance-free living awaits in exclusive Calvanna Village in Arbour Lake...this sought-after 50+ complex for the mature adult in Northwest Calgary's only lake community. Fantastic main floor corner unit with open floorplan bathed in natural light, extensive laminate floors & covered balcony with views of the mountains & downtown skyline. 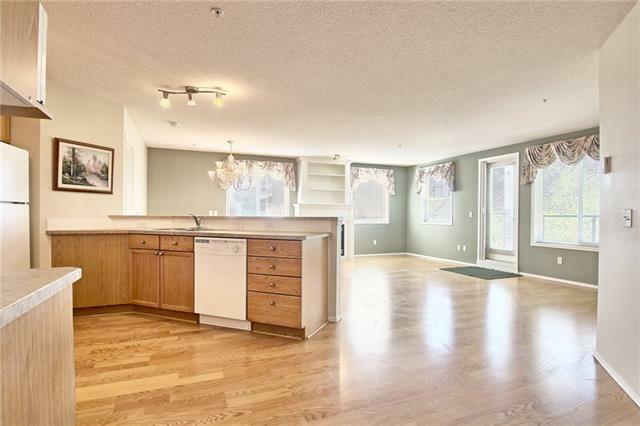 This bright & airy unit offers oak kitchen with wraparound counters & loads of cabinet space, open to the huge living/dining room with fireplace & large windows. 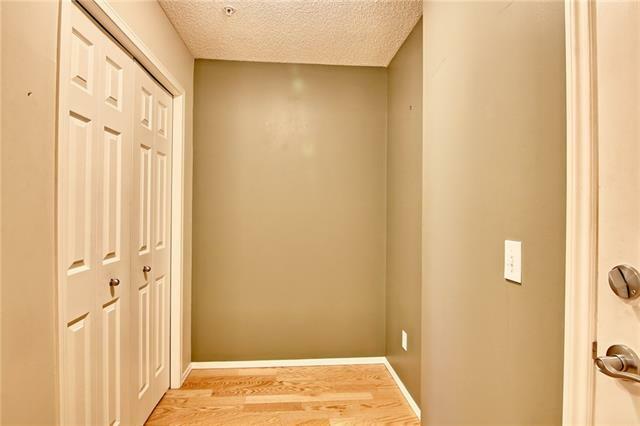 The master bedroom enjoys walkthru closet & ensuite with shower. The 2nd bedroom is next to the 2nd full bath - which has a relaxing jetted tub. 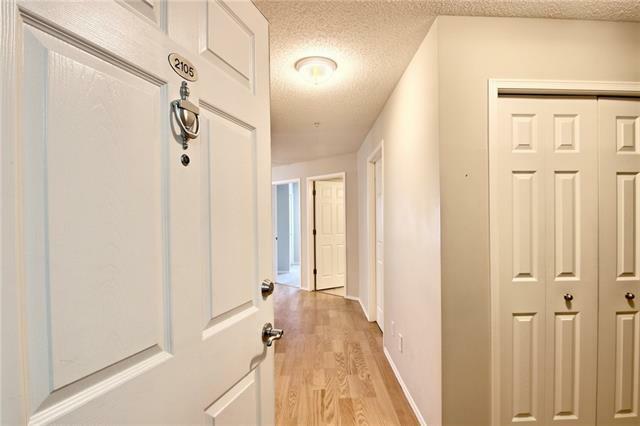 Insuite laundry room, lots of closet space, assigned underground parking stall with adjoining storage cage, radiant infloor heating plus residents' clubhouse with guest suites, games/rec room with fireplace & fitness area, kitchen & party/banquet room. 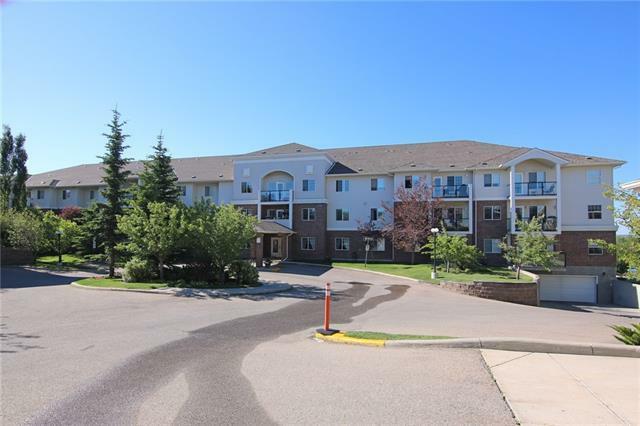 Walking distance to bus stops, minutes to Crowfoot Centre with shopping galore, theatres & the LRT.